Manchester United will be desperate to end the season on a high and beat Crystal Palace in Saturday’s FA Cup final at Wembley? This article contains our CRYSTAL PALACE v MANCHESTER UTD betting preview with predictions, betting tips, enhanced odds, starting lineups, streaming links and no deposit free bets on the FA Cup final. Man UTD failed to mount a serious challenge in the Premier League title race, finishing fifth and missing out on Champions League football for next season. The Red Devils wrapped up their Premier League campaign with a 3-1 win over Bournemouth in midweek. They have knocked out Sheffield United, Derby County, Shrewsbury Town, West Ham and Everton on their way to the FA Cup final. Van Gaal revealed at his pre-match press conference that full-backs Matteo Darmian and Marcos Rojo have both overcome recent injuries. Marcus Rashford is likely to lead the line in a 4-1-4-1 formation. Adnan Januzaj, Luke Shaw, Matteo Darmian and Morgan Schneiderlin are listed as doubts while Morgan Schneiderlin is back from illness and Marouane Fellaini back from suspension. Timothy Fosu-Mensah, Bastian Schweinsteiger and Will Keane all look certain to miss out. Crystal Palace have only won seven matches in 2016, but five of those have been in the FA Cup. They beat Watford in the semifinal and also saw off the likes of Southampton, Stoke, Tottenham and Reading to reach the final. In Premier League, Paredew's men were lucky to have started the season in fine style, which kept them off relegation zone despite their poor ending. The Eagles have lost three of their last five outings and failed to score in either of their two league meetings with the Red Devils this season. Alan Pardew rested a host of players in their final league game of the season and can call upon his strongest XI for this match. Emmanuel Adebayor is expected to play a part in what could be his final Palace appearance, but either Dwight Gayle or Connor Wickham, who scored against Watford in the semi-final, are due to lead the line. Kwesi Appiah, Marouane Chamakh, Brede Hangeland and Joe Ledley are all sidelined, while Yohan Cabaye and Wilfried Zaha are all 50/50 ahead of the final. Man Utd are undefeated in their last 10 matches against Crystal Palace and have kept a clean sheet in 13 of their last 18 games against the Eagles in all competitions. A Damian Delaney own goal, allied to Matteo Darmian’s screamer, gave United a comfortable 2-0 win at Old Trafford when the sides last met in the Premier League at the end of April. 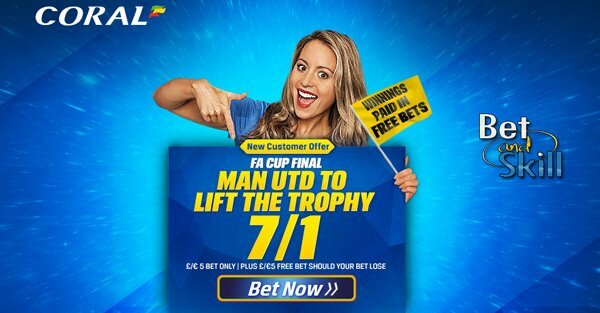 Enhanced odds - 7/1 Manchester UTD to lift the trophy + £5 free! Crazy offer - 4/1 Man UTD or 8/1 Palace to win + £5 free for the Champions League! Double boost! 10/1 Manchester UTD or 20/1 Crystal Palace to win + £100 bonus! Price Boost! 6/1 Manchester UTD to beat Crystal Palace! Crazy price! 7/1 Manchester UTD to win in 90 mins (was 4/5) + £5 free! Huge offer - 3/1 Man UTD to lift the cup or 4/1 BTTS! Man UTD boost - 6/1 to beat Crystal Palace! 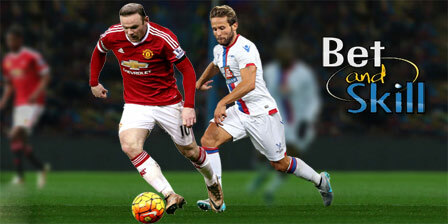 Monster Odds - 5/1 Man UTD or 12/1 C.Palace to lift the trophy! Enhanced price - 4/1 Manchester UTD to win (max bet £10)! "Crystal Palace v Man UTD predictions, betting tips, odds and lineups (FA Cup Final - 21.5.2016)"